I’m writing this post exactly 9 months since we lost our little boy. Today is a hard day, 9 months ago Liam was born and he died, he has now been gone for as long as we knew that he was here for and I’m really not quite sure how I feel about this, however I do know this: A mothers love is eternal, and I will love and miss him till the day I die, I wish I could have just 1 more minute with him, to let him feel how much I love him, to smell his hair, to cuddle him and to kiss his cheeks. I also know that Liam has taught me how to be a better person, how to love unconditionally, how to ignore the small inconsequential things that so often have us distressed in life. Because of Liam I hope I am a better wife, a better mum, a better friend and a better person. Thank you to everyone who has written to me asking if we are ok, I realise that it has been a while since I last posted, however the last post I wrote took a lot out of me, it was a long one and required much thought and effort. I am also back at work so I no longer have as much ‘free time’ as I had before, so I agree it has taken a while to sit down and write but it is the best that I can do at this point! A couple of weeks ago I wrote to you and gave you the opportunity to tell me your side of the story, which you told me you had nothing to add. For 14 weeks and 2 days I have defended you to everyone…my friends, my family and my husband. Yesterday Ryan and I met with the hospital who showed me the pitiful copy of the RCA they had conducted and told me a few truths which you failed to tell me. It was your decision not the anaesthetists decision to do an epidural as you have written to me it “saved time” and as I have thought all along…what a load of nonsense everyone knows that a general should have been given and they told us this in the meeting yesterday. I also know that given the fact that I had a VERY low lying placenta, the probability that the cord was beside his head during contractions is a lot higher than if my placenta was elsewhere, and therefore with each contraction the cord being compressed beside his head is quite likely, and in fact was what you told us was happening in the delivery suite. My point is, whether Liam had something inherently wrong with him or whether it was cord compression means little, he should have just been out ASAP you never gave him the chance to live. Had he been out at 145am (my timeline 30mins post decision) or 2am (the hospitals timeline) and had died his death would still be a horrible tragedy but I could accept it more, he was delivered 89mins post decision (my time line) or from the hospitals 74mins post decision, babies like this can’t hold on that long, and you never gave him the opportunity to live, that was taken from him. For 14 weeks I have defended you to EVERYONE you told me that the hospital didn’t have theatres there and weren’t set up etc so I blamed the institution. Why couldn’t you tell me the truth? I hope my email makes you feel horrible down to your gut, if only for a day, because then you would know what Ryan and I are going through each and every day. I’m very sorry that you feel this way – it does hurt me to the guts everyday and I haven’t stopped thinking about it since that night. I think it would be good for all of us to talk about this again, and I am happy to talk face to face whenever you like. What he failed to realise is that if he had told me the truth to start with, I wouldn’t have had the anger that I was experiencing, had he just once shown that Liam’s death affected him, my anger would have been less, but he had shown me none of these things, when we had previously seen him all he did was sit in his chair behind a desk and look me in the eyes and blame theatres for not being there on time. I no longer wanted anything to do with this man, the thought of seeing him made me sick to the guts, the thought of having to go back into his surgery and see all the other pregnant mums and have the receptionist again try to make me fill in a post natal depression score made me want to throw up. However after calming down for a day or so I thought that I should be the bigger person, there are always 2 sides to a story and I thought I should hear his side now that everything had ‘come out’ I wrote to him and asking if possible could we meet on common ground, like I said I didn’t want to go back to his surgery, but this request was denied. I’m not sure why doctors believe that they should hold the power all the time but they do and I was made to feel like the lowly patient and felt like I had to go grovelling back to him. Ryan had decided not to come to this meeting, for a few reasons, firstly he was very busy at work, secondly Ryan was tired of everyone blaming each other and thought that this meeting would be much the same, and thirdly from what the hospital had told us, (even though he is the most placid man in the world) Ryan was not sure he would be able to be in the same room as the doctor. When I arrived the doctors first remark was “I thought Ryan would have come with you” and I responded to the Dr with “My husband is a very placid man, but I think if he saw you, there is a very good chance that you may not be standing at the moment” to which he nodded in agreement and said “I wouldn’t blame him” or something similar to that. We sat down and sometimes life throws a curve ball at you that you never anticipate, I had thought we were just going to play the blame game again, and that I would listen to his side of the story against the hospital again, instead something totally different happened and my OB sat there and apologised whole heartedly and unreservedly. Now normally my memory is quite good and I can recall conversations word for word, but what he said to me was so totally unexpected by me that I have very little recollection of the meeting. I do remember him saying “I am so sorry, you put your trust in me and I let you down, I didn’t do things quick enough and I agree I didn’t give your little boy the chance at life that he deserved” I remember that 3 times while I was there his eyes welled up with tears and I realised that Liam’s death had impacted on him. I remember him apologising for different decisions that he made. What I do remember clearly were a couple of answers to questions that I asked, the first question I asked was “why didn’t you give me a general?” and his response to my question was that he along with the anaesthetist believed that they could safely give me an epidural in the time that it took theatres to arrive at the hospital, so that when everything was ready they would just wheel me into the OT and get Liam out, what he didn’t realise until we were in theatre was that although the anaesthetist had put the epidural catheter in he didn’t give me any drugs until we were actually in the OT and that was what the wait was in theatre for, they had to wait until the drugs had ‘taken’ and I was numb in the OT before the operation could start and my OB told me that until I was in the OT he understood that we were all ready to go, he thought that the drugs had been given in the delivery suite, and to that I asked “when you realised that the drugs hadn’t been given why then did you not just give me a general anaesthetic and get Liam out as quickly as possible” and he replied that yes in hindsight he should have done that, but at the time he never thought that Liam wasn’t going to come out kicking and screaming, he told me that in women like me who have had no pre-eclampsia, no diabetes and who were fit and well 50% of the time when you see a trace like they saw with Liam it means nothing, and for these 50% of patients you do a C section and really they didn’t need it, they could have safely gone on and delivered naturally and all would be good, but in the other 50% of patients CTG readings like the ones that we saw with Liam meant a lot and those babies need to be out ASAP, he told me that he always thought that I was in the other 50%, the 50% of ladies who receive a C section but didn’t really need one, he reiterated that he always thought that Liam was going to come out kicking and screaming. The second question that I asked was why did he (as the hospital had told me) refused my midwife to monitor Liam before the C section because Liam went nearly 35mins without anybody checking him, and he told me that his main aim was to get me into theatre and get Liam out (to which I agreed with, however I said to him that his plan actually didn’t happen and he didn’t get Liam out quickly) he then told me that the first time she asked they were just about to wheel me to the OT so he said to wait until we got there. After wheeling me to recovery (just outside the OT) that the midwife apparently told my OB that she forgot to bring the portable CTG monitor should she go back and get it to monitor the baby, at that time he didn’t know that the anaesthetist hadn’t put the drugs into the epidural catheter and he thought that he was going to wheel me into the OT and get the baby out. In the hospital that we were in the OT was not just 10 steps away from delivery it was a good 5minute round trip and he expected to be doing the operation by then, so told her not to bother. The third time that the midwife wanted to monitor the baby she had spent time in the OT (while the drugs were taking their effect) looking for the handheld Doppler that should be kept in each theatre, but for some reason on this night the Doppler was missing from this theatre and couldn’t be found so again she asked if she could go back to delivery for the portable monitor, however because she had spent so long looking for the hand held Doppler there was no point because by this time the drugs had nearly worked and for sure by the time she retrieved one from delivery the baby would already be born. So again a few truths were told to me. Yes as the hospital had said my midwife requested 3 times to monitor the baby and three times she had been denied the right to monitor him, however the hospital had left out 2 vital pieces of information…..my midwife had forgotten the monitor and the handheld monitor that should have been in their OT was missing. I left that meeting with my head spinning. I got in the car and called Ryan straight away, “He apologised Ryan, he said that it was his fault and he took the blame solely upon himself” Ryan asked what I meant and asked me to relay what had been said, it was then that my mind turned blank and I realised that although my OB had apologised whole heartedly and unreservedly I couldn’t remember exactly what our conversation had been because I just hadn’t expected it, and I told Ryan that I was really sorry that I couldn’t remember probably the most important conversation that I’d had with any medico since the birth and death of our baby boy. A weight lifted off my shoulders that night, a heavy weight that I had carried around for far too long, and that was the weight of my anger. My anger dissipated with his apology and I felt light and relieved, my resentment was gone, my fury tamed, this day when I met with my OB: Friday 10th October was a turning point for me. The tears I cry for you and your family. I hold my babies all that tighter tonight cause u have reminded me how precious they are. You are an amazing lady and stronger mum. I hope I have half the strength you have you inspire Amanda. It is always ‘nice’ to realise how precious our babies are and realise that yes they can be given extra cuddles and love just because we can. Alethea gets as many cuddles and kisses from me as she will take, I try never to be the first to break off a cuddle and will hold her as long as I can just because it is beautiful, and I realise in a few years time she won’t be needing as many cuddles from her mummy, so I’m getting as many as I can in at the moment! I had so many things I wanted to say here but words just can’t describe. I honestly think of you and your family on a daily basis and when I read your posts I find my self wishing things were different for you. I just can not comprehend how you cope. Thanks for the beautiful message, it is lovely to know that people do think of us and keep us in their thoughts and prayers, yes I agree it is unfair and I have wished a thousand times or more that we could turn the clock back and change how things were done and bring our little boy home….however this will never come to be. We are coping ‘well’ I think anyway on a daily basis, we have a loving home, and treasure every moment (the good and the bad). We do still have ‘bad’ days, and I think they will always be there and that’s ok because when they do come they remind me how much we love our little boy and how much we miss him each day. I just wanted to say hi and let you know We think of you and your family and send love and hugs your way. I have your page open on my iPhone safari and check every day for the updates. It’s hard to read your blog as a mother of two boys as it evokes such emotions and brings me to tears every time but its also lovely to read about your little boy and your eternal love for him. Thanks Michelle, for thinking of us and sending love and hugs, and we do send them back to you as well. I wish that I had more time to do more posts…maybe I should do shorter posts more often, but when I do eventually sit down to write a post all my emotions and thoughts come straight back and I find it hard to stop writing once I start…it is just finding that time! Amanda and Ryan, I am so so so sorry that you were let down in so many ways by the people you trusted most in the world to bring your little man safely into your arms. As a midwifery student,firstly I know how rare it is for an Ob to admit their errors, but I can’t even imagine how difficult it must be to look parents in the eye and say ‘because of my mistake/s your baby has died’. It is so far beyond the ‘normal’ realms of a baby who has been stillborn for no obvious reason etc. I’m so glad that you pursued answers, and apologies, and while it will never lessen your pain, I hope someone admitting some liability brings you some peace. Your story, and your demands for answers will undoubtedly one day save the life of someone else’s baby, because everyone who was there that night with you will remember what happened, and in their heart they’ll know why, and next time they won’t question which 50% that woman is in, they’ll just know that they have to assume she’s in the 50% where that baby needs to be out! You have a beautiful little guardian angel looking over you every day who you can see in your writing brings you much strength. First of all good luck on your ventures in midwifery! Thanks for your lovely words, yes I hope that next time people will always assume the worst, always assume that the baby needs to be out ASAP (in situations similar to ours) because it is not worth running the risk of the alternative happening and losing the life of a beautiful baby that should be here today. Well done for being so courageous and sending that email to your OB. I’m glad to hear that you finally got the truth, although its terrible that you had to go through all the trauma etc to get to that point. I have no doubt that everyone involved has learned from what happened to Liam and I’m sure it has and will save other babies. I’m so sorry that this happened to you and Ryan and that it took Liam’s death for them to learn. If you hadn’t been so courageous in fighting for answers then most likely nothing would change. Sending hugs and thinking of all of our angels this Easter. Sending love and hugs you and your family as well this Easter, I hope our boys were showered with love and affection this Easter that they deserve. I hope that many people will learn from Liam’s death, and if just one family is saved from the heartache that we have gone through then our fight for answers will have been worth it. Your courage and strength are a true inspiration for us all, especially in the face of such sorrow and tragedy. Graham and I decided early on that we had very little energy to go after doctors and hospitals. That with what little energy we had we would devote that energy to our other two children first, our marriage second and our healing thrid. But slowly, as we get microscopically stronger with each passing day, we take tenee tinee steps to getting some answers too. Our situation is similar but at the same time very different. We feel that we received very substandard care at our 30 week appointment when it all began to go wrong, but then at 36 weeks, when it was clear to all that Nathaniel was in the destress, we counldn’t have asked for better care, assistance and compassion from all medical staff involoved in helping him survive. Two weeks after Nathaniel passed away, we met with the head OB at the original hospital (my unscheduled week 30 app’t), who told me as a response to questions about that we had about what went wrong at that app’t that “Someone made a mistake. And we can put all the policies and procedures in place to try and irradicate mistakes but at the end of the day, you will never eradicate human error since we are all humans and we all make mistakes.” At the time I was to weak to stand up to this comment, but now as time goes on I feel that I am getting stronger to challange this view, especially since putting a ‘research doctor’ and not an OB in my path at that app’t (who does not have the medical expertise and experience to determine high-risk case when she was faced with one), is not exactly what I would call “putting all the proper procedures and policies in place to eradicate (or even minimialise) mistakes”. Anyway, I wanted to thank you again for being such an inspiration to all of us mums, who live each day trying to be “Warrior-mums” protecting our children and family, and secondly, for coming into my life when you did so that I didn’t feel like I was the only one who felt the way I was feeling…completely and utterly striped down to my core and lying flat on my face at rock bottom in a pool of tears. All my love and friendship always! PS. I think of your beautiful boy Liam all the time, and know with every bit of my heart that our two little angels (along with all the other beautiful angels I have had the honour to learn their names and hear about), are together somewhere watching over us, smiling down on us and loving us from afar until the day we are together again in the same place they are!!! Each mum that has lost a baby deals with their loss very differently, for me it helped in my healing to have a ‘job’ to do, to seek for answers, it was also detrimental in a way for my healing as the more I learnt the angrier I became, but my mind was made up to pursue reasons to why Liam’s birth wasn’t handled the way it should have been. Reasons leading to the deaths of our little boys are so similar yet so different. Until I met you I knew of no-one who had lost their baby due to other peoples negligence and knowing that I was not alone was both comforting and horrible both at the same time. Personally I think what you were told was horrible….Policies and procedures exist to help prevent mistakes, so if x happens then y needs to be done, to not follow a policy for some unknown reason is when the unspeakable happens (which is what happened to you) The care you received was not acceptable and their in-actions led to a horrific outcome for both you and your beautiful family. I read this without taking a breath I think. I am so pleased that you got some answers and some relief that you have been looking for. Of course I know the pain will never be eased but having the questions may help you and Ryan heal. It doesn’t bring Liam back to you, but I am amazed that your OB said what he did. Not because I have any doubt that he truly feels distraught about all that happened, something he has to live with forever too, but more that I didn’t think they would be ‘allowed’ so to speak other than through the hospital or through the indemnity people. Much love to you, Ryan, Miss A and Liam – I hope you continue with the strength you are feeling. PS. Love to you too Isabel. I think the boys are having a grand time together looking down on two of the most awesome mummies in the world! You amaze me to the core! If just a fraction of your dignity and grace rub off on me as I witness your journey, then I am truly blessed for knowing you and meeting beautiful, perfect Liam. All morning I have had the notifications that you have replied to each and every comment made in response to your latest post and each time wondered how you have been able to respond so beautifully to everyone. I hope you didn’t read my post as a comment that I didn’t think he should apologise. I think it is most likely the first instinct, the humanity in all of us to do so, doctors included. And I am so pleased you got to hear his apology. I have had two ‘sad’ calls in the past 3 hours, so will sadly meet two more families tomorrow. Hearing you speak of what the piece means to you (and Ryan) is why I can never say no to meeting and printing these angels – babies, children and in this case adults. And I know that it is thinking about what they mean to you, and others like you, that gets me through the sad process too. Your time is precious, so while I love reading your responses, please do not feel you need to find time to reply yet again. I wanted to thank you for sharing your story and your honesty with all you have been through. I often think of Liam and your family. 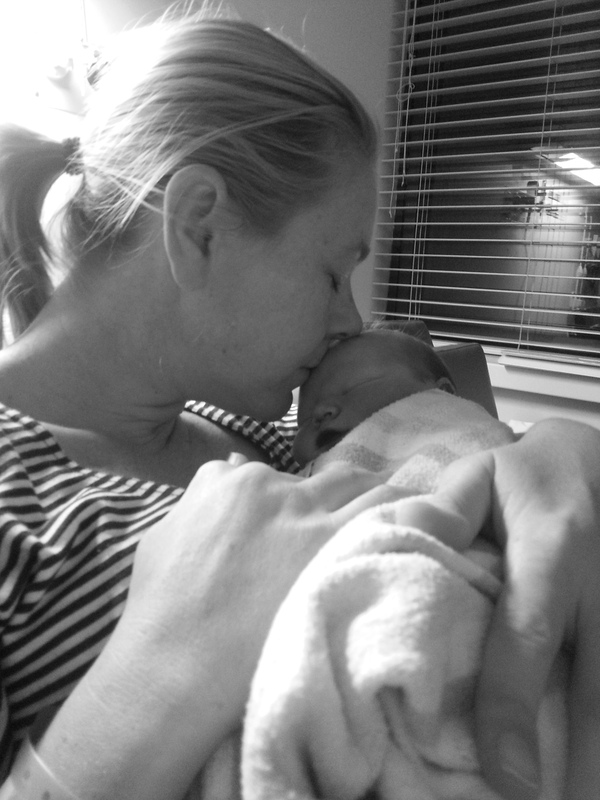 A close friend recently had a beautiful baby boy who was stillborn. I know that I truly cannot understand how they are feeling or what they are going through but from reading your blog and your thoughts as you go through your journey, I really do feel that I am able to be a better support for her and her husband. Thank you for your comment, sorry it has taken me so long to reply! I am so sorry for your friends loss, it will be a long and hard road for her family, thank you for taking the time to read our journey, hopefully you will be able to give your friend some better support like you mentioned. I would love to impart wondrous advice to you on how to be the best support you can, but each person is different, the best advice I can give you is don’t shy away and think that she doesn’t want to see you, we lost lots of friends after Liam died because people didn’t want to come anywhere near us or bring up Liam’s name. Be there for her and if she wants to talk about her baby it’s because she loves him and misses him and wants people to understand that he meant the world to her. You are such an amazing women and I am so pleased to hear that, that weight has been lifted from you. Your writing is beautiful and you should think about publishing your story as I believe it will help others in many ways. Today I had my 12 week scan for my 4th, not a planned pregnancy, in fact after reading your story I had finally decided that 3 healthy children (2 miscarriages) were a blessing however God had another idea. Today at my scan instead of being wide eyed, accepting and just overall trusting of the medico’s I asked a million why’s, what does this mean etc. Instead of feeling like I was taking up their valuable time I thought NO I am paying good money for your expertise and its ok for me to want to know and to ask. I thank you for giving me this courage and I wonder just how many others like me take a backseat. Congratulations on your 4th baby! You will no doubt be very busy, but what a very fun sort of busy it will be! Like you say it is ok to question your medicos, after all like you say you are paying them for their expertise! take care of yourself over the coming months, you carry precious cargo!